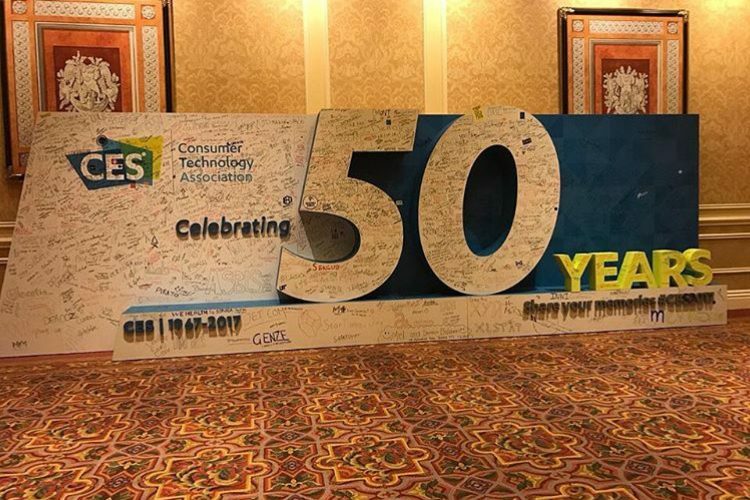 First off, it was fantastic to attend CES 2017 this year for its 50th Anniversary. I am not sure what was showcased 50 years ago, but I can promise that we have come a long way after what I saw! To me technology is not valuable to just “make our lives easier” but to push our generations to be more advanced, efficient, and build a cohesive infrastructure globally. After four awesome day’s at CES 2017, here is what I have to say. Last year there were so many great inventions, start-ups, and products being showcased at CES 2016. But no way to connect them. Ugg right? I know we are all thinking the same thing. How many more apps do we have to use for that hot new product we need and want. How many more different profiles and login’s do we need to create. There was no way for all these amazing products to link and communicate. CES would have to be The Most Important Tradeshow in the world. It is so much more than a tradeshow. CES is where the world’s best inventors, greatest technology, top products, largest companies, entrepreneurs and business personal gather all in one place. Attendee’s got to see lots of wearables being unveiled for the heath driven or fashionable individual, robotics, and finally way’s to connect all this awesome tech! Yes, this year was really all about connectivity! I have said this many times before and will say it again. All products, especially tech products need to impact the users life by solving a solution and also be easy to use with a reliable IoT interface. For all my readers IoT stands for “Internet of Things”,) refers to the ever-growing network of physical objects (products) that feature an IP address for internet connectivity, and the communication that occurs between these objects (products) and other Internet-enabled devices and systems(ex The products App). So what did I see?!?! Below are the highlights that got everybody talking. Microsoft Connected Vehicle Platform is built on the Microsoft Azure cloud, and allows car manufacturers to more easily develop “custom connected driving experiences,” according to a Microsoft blog post. Allows automakers to leverage Microsoft’s virtual assistants, business applications, and office services such as Cortana, Office 365, and Skype for Business into vehicles. Microsoft will not build its own connected car but help manufactures reach that goal. Nissan-Renault will be the first manufacturer to use Microsoft’s platform to build new cars. The company has also partnered with Volvo, BMW, and Toyota on connected car efforts in the past year. BMW showcased digital services that will allow future drivers automated vehicles to enhance the way they plan their daily lives. My favorite feature will enable drivers to access wide-ranging information about places or buildings they see along their route. The information can be selected using BMW Augmented Gesture Control ( a new form of gesture control, Microsoft’s Cortana) by pointing at a particular building, for example. This connected driving experience will also be enhanced by intelligent voice control. BMW Connected demos featured a visionary concept of an in car personal digital assistant controlled by voice. Customers would be familiar with in other areas of their daily life and could do more with this experience like book a table at their favorite restaurant or order product’s from Amazon Prime and pick them up within route. Ford announced its new app, DriverScore, that will track driving behavior. The data will be passed along to the insurance companies that will offer better insurance rates for good driving. Users can download the app to sync and send specific vehicle data. Sleep Number 360 has the ability to lift your head to stop you from snoring and warm your feet if they get too cold. Pretty amazing! It of course will adjust firmness depending on your favorite sleep positions. LG Smart InstaView Fridge is called this for a reason. This smart fridge will answer your questions using Amazon Alexa, play your favorite music, and includes cameras on the inside of the fridge to keep an eye on your favorite snacks. The doors feature a 29 inch touch screen that you can use to search recipes. LG Hub Bot was presented onstage at CES and showed the robot preheating a connected oven, turning on your robotic vacuum, and controlling an autonomous lawnmower. Basically how we would connect all the awesome stuff. The robot is able to move around and provide answers. LG is hoping to launch the robots in airports and hotels as it will be able to carry a conversation and even give directions. There was a huge emphasis that the Hub Bot would have advance AI that would learn about their owners and be able to carry on a conversation. Thank you for stopping by and welcome to my techy blog where you can find reviews and videos on today’s top items. 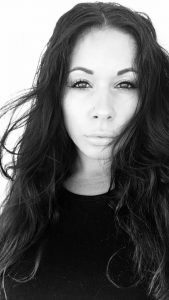 My blog will show me having fun with my children like the big kid I am, and a couple of our family recipes you must try. Read more about me. Thank you for stopping by and welcome to my techy blog where you can find reviews and videos on today’s top items. VM Techy Girl • Copyright ©2018 • All Rights Reserved.